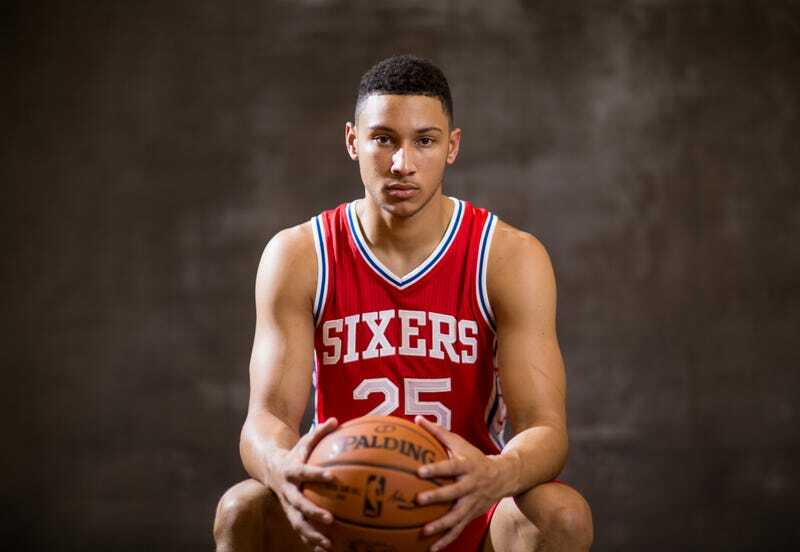 When Ben Simmons was picked first overall in the 2016 draft, he was listed at 6-foot-10. Unfortunately we haven’t seen much of him since. What was the 20-year-old doing in that time, besides waiting for his foot bones to heal? Becoming larger. It’s hard to know exactly what to make of this; NBA big men fudge their heights all the time—though generally downward—as detailed in Chris Herring’s Wall Street Journal piece last year. On paper, Simmons, who’s been celebrated for guard-like skills, may have slight incentive to undersell his height, but in practice it doesn’t matter: his coach is already sold on playing him at the point. Given how entertaining 6-foot-11 Point Giannis has been all season, you’ll find no complaints here. I for one look forward to watching a highly touted, seven-foot tall Sixers prospect play in the 2017-18 NBA season, a thing that will definitely happen.